"How long will it take to be a winner?" About 20 minutes a day. 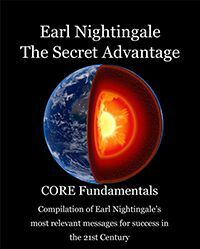 The new updated Earl Nightingale CORE fundamentals in 64 powerful, 20-minute episodes will arm you with skills to get anything you want. 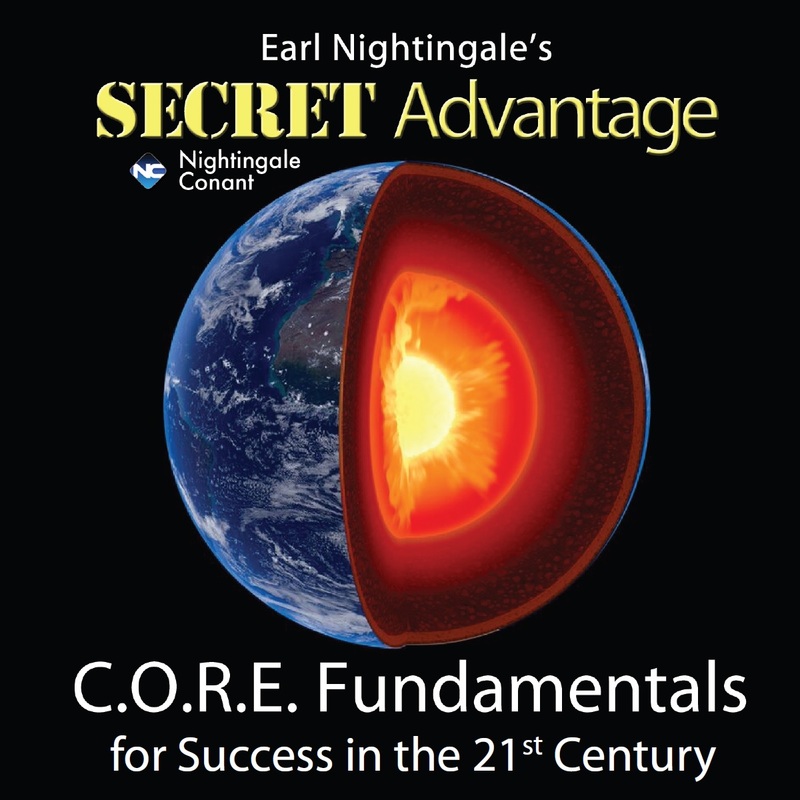 Earl Nightingale's New Program: The Secret Advantage: CORE Fundamentals to Get Anything You Want. This new program features the best of Earl Nightingale updated for success in the 21st century. Hundreds of hours from his audio library have been specifically edited into 64 powerful content-rich episodes. Each 20-minute episode features a variety of Earl's messages in topics that range from entrepreneurial strategies, to writing and communication skills to make you stand out. Proven bestselling principles from Earl Nightingale's programs have sold millions of copies, and thousands of his radio broadcasts that were syndicated for 30-plus years on more than 1,000 radio stations have inspired winners like you. Top CEOs, athletes, movie stars, celebrities, and millionaires have stated that Earl Nightingale ignited their potential to be great. The company he co-founded, Nightingale-Conant has created more millionaires worldwide than any other personal development expert. We have researched and edited thousands of Earl's messages to find the best data you can use to take you where you want to go. This program drills down advantages into 64 topic-driven episodes to make it easy to refer to the messages that reveal the secrets. Each episode is roughly 20 minutes with several messages from various programs that will address the specific topic. Within 20 minutes a day on your commute, or wherever you are, you will discover your advantages to exceed any goal you choose. In Episode 2, Jobs and Getting Rich, we edited six separate segments to address the topic of how you can get rich in your current career. Your plans to make it rich are determined by your competency as told in the program Start Here. Learn why there are no unimportant jobs, as all jobs are stepping stones. Find out why all the money you will ever make is at this moment in the hands of someone else. That's in a message from Our Changing World. Being your best is an act of will that was first taught in The Essence of Success. In Episode 59, Truth, Earl explains how basic skills make us all more effective. From Our Changing World we hear the Truth Boomerang. In the program Great Ideas Earl explained ways to trust people when we first meet, and have them trust us. In this episode there are five segments addressing effective communication skills. Skills to use in sales and presentations, and in simply making new friends. In Episode 60, Communication Skills, Earl teaches effectiveness in speaking. This episode shares a powerful philosophy that shows you how to win instant rapport with everyone you meet. Our new world of Internet commerce requires a modification in tactics, but strategic skills are still mandatory. Take, for example, creating a successful YouTube video or video blog. There's a lot more to going viral than turning on a camera. Content drives views. These skills are also found in a number of other episodes, such as Episode 61, Communication Skills Online, where skills on announcing, writing, and editing are presented in five segments. And more in Episode 62, Become a Successful Author, with six segments covering writer's block, vocabulary, mastery of language, and tips from one of the literary giants whom Earl studied. In Episode 14, Become a Writer, Earl explains how he wrote thousands of daily radio programs with fresh new ideas every day. What does success mean if, at the end of the day, you are not happy? Earl covered this topic a great deal in a number of his programs. In Episode 43, Happiness, we present six carefully selected segments from Earl's programs that cover issues about being happy during both good and hard times. How do you discover the right opportunities? Earl Nightingale offers advice to know for sure what you want in Episode 34, Know What Opportunities You Want. Do not take this lightly. Competition is tough, but with these skills, you will be stronger. When my dad, Lloyd Conant, first met Earl, he recognized immediately the power in the words of The Strangest Secret, and the two of them together launched Nightingale-Conant. Today, I hear the same unlimited potential in each of Earl's messages. You will too. This new updated program designed for success today and every day in the 21st century is a dynamic way for you to take advantage of the same knowledge top leaders have used that has proven to work. I look forward to hearing your success story. P.S. If our short two-minute video above shared the excitement we feel about The Secret Advantage: CORE Fundamentals to Get Anything You Want, imagine the excitement you will enjoy for 20 minutes a day, every day! Plus Over 90 Minutes of Exclusive videos! I want shortcut access to a life of outstanding success.